Krishnagiri is one of the significant cities in Tamil Nadu and has derived its name from the greatest ruler of the Vijayanagara Empire, Krishnadevaraya, who once ruled the region. It is home to several monuments and ancient temples which are visited by thousands of tourists every year. 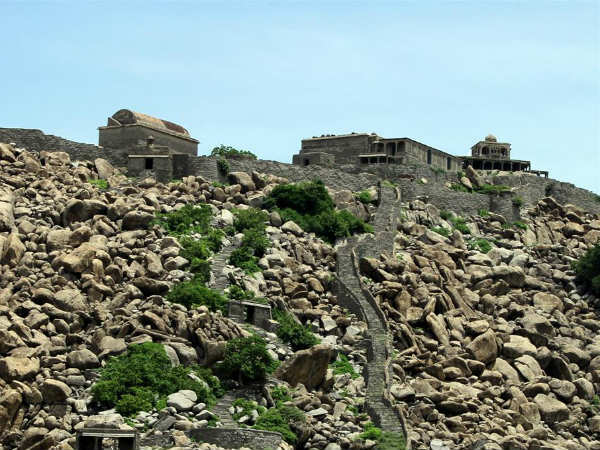 One such tourist spot is Krishnagiri Fort, which is known for its age-old history. Have you ever been to this beautiful fort located atop a rock hill and overlooking the core settlement of Krishnagiri? If not, then you must plan a tour of this monumental beauty which has in store a lot to be explored. Read on to know more about the history and location of Krishnagiri Fort and why you should visit it. With a tropical climate, the region in and around Krishnagiri experiences moderate summers and mild winters. Therefore, it can be visited anytime during a year. However, if you are looking forward to avoiding the summer heat and experience a pleasant environment, then the best time to visit Krishnagiri is from October until the end of March. Krishnagiri Fort, clear from its name, is located at Krishnagiri in the state of Tamil Nadu and is perched on a hillock, which can be accessed by a flight of stairs. The fort was built in the 16th century by Krishnadevaraya, one of the greatest rulers of India, and was one of the strongest forts of all time. However, later on, it was captured by several other dynasties, including the Bijapur Sultanate, the Marathas and the Kingdom of Mysore. Eventually, it came under the control of the British in the late 18th century. Don't you think it is a perfect place to learn in detail about the great dynasties of Medieval India? Today, the fort is under the Archaeological Survey of India and is a major tourist centre in Krishnagiri. If you are an ardent lover of history, then Krishnagiri Fort is an ultimate destination for you. It is hard to trace the history of several dynasties at one place. So, when you are getting such an opportunity of learning in detail about different dynasties, why refrain from planning a trip to Krishnagiri? As the fort is located within the main city of Krishnagiri, it is surrounded by several other tourist spots which certainly deserve to be explored. From temples to dams and lakes to other historical sites, there are numerous interesting sites. The major ones amongst them include Krishnagiri Dam, Rayakottai Fort, Chandra Choodeshwara Temple, Thali and Government Museum. By Air: The nearest airport to Krishnagiri is located in Bangalore and hence, if you desire to travel by air, you need to take a flight to Bangalore airport and then from there, a cab or bus to Krishnagiri. The distance between Bangalore and Krishnagiri is 90 km. By Rail: The best way to reach Krishnagiri by rail is to take a direct train to Bangalore railway station, which is well connected to all other major cities and towns. Once you have reached the station, you can hire a cab or catch a direct bus to Krishnagiri. By Road: Krishnagiri has a well-maintained road network and therefore, it is easily accessible by road.